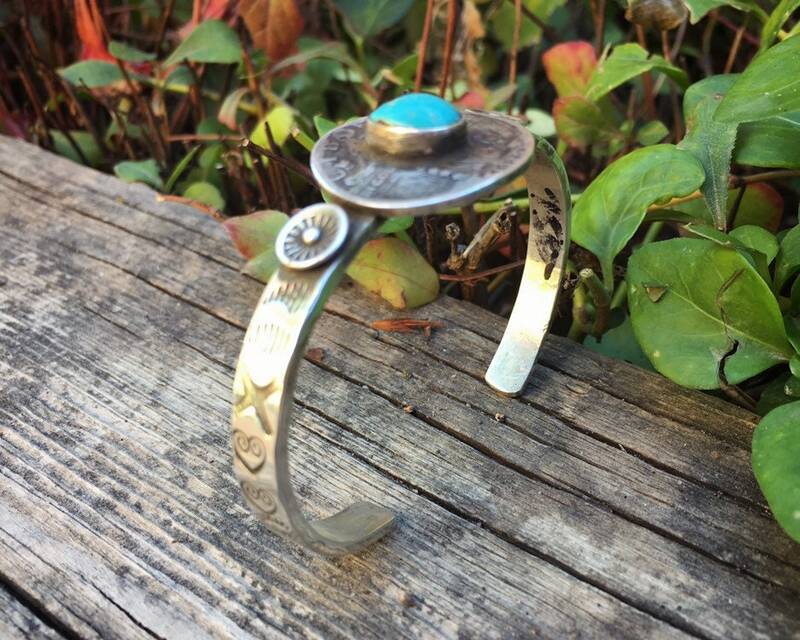 This silver bracelet is one of the coolest pieces I've had the honor of selling. It's fairly simple yet completely unique--a narrow yet thick silver band upon which sits a 1929 Liberty Quarter Dollar. The Standing Liberty Quarter was minted from 1916 to 1930 and features the goddess of Liberty on one side and an eagle in flight on the other. 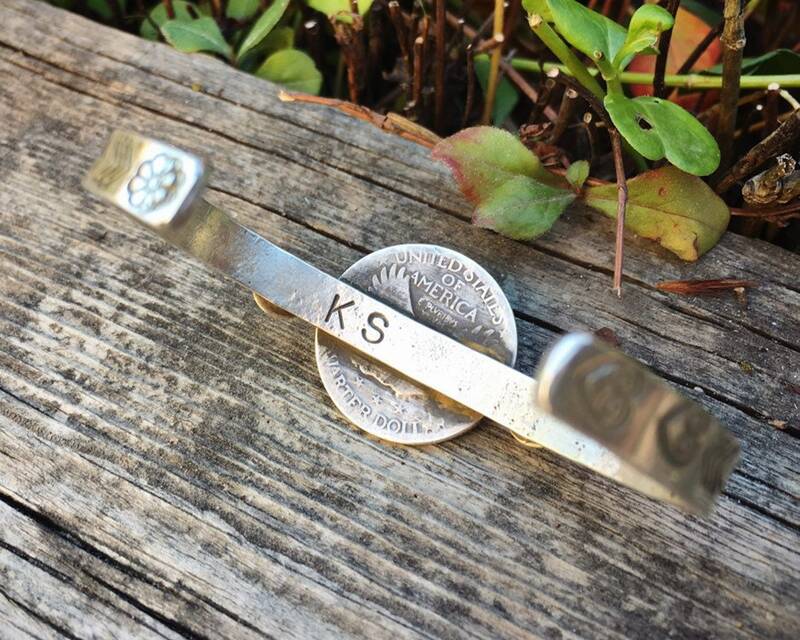 This quarter has been hammered and filed to curve slightly with the bend of the silver cuff underneath, but you can still make out key elements. 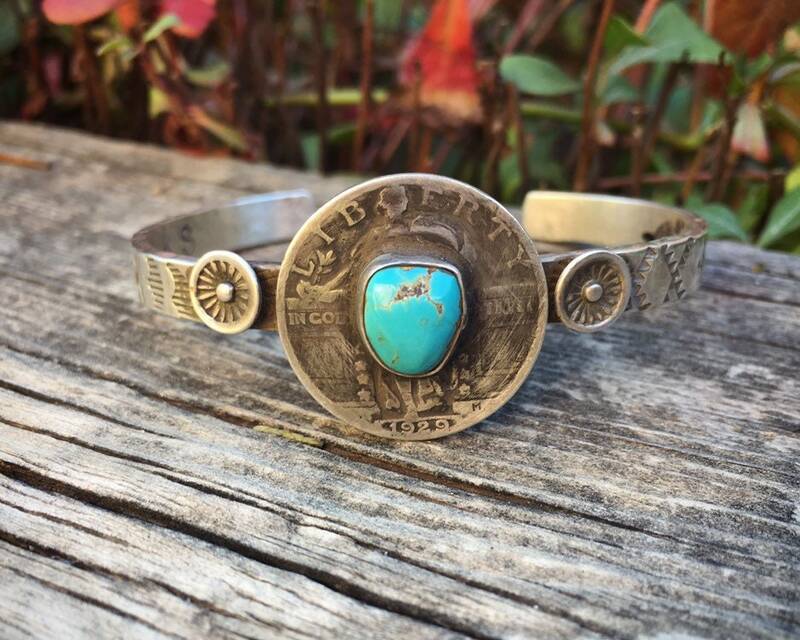 On top of the quarter is a smooth bezel and a piece of natural turquoise with matrix, and on either side of the coin are round starbursts. The silver is all handstamped and include various symbols including the Zia. 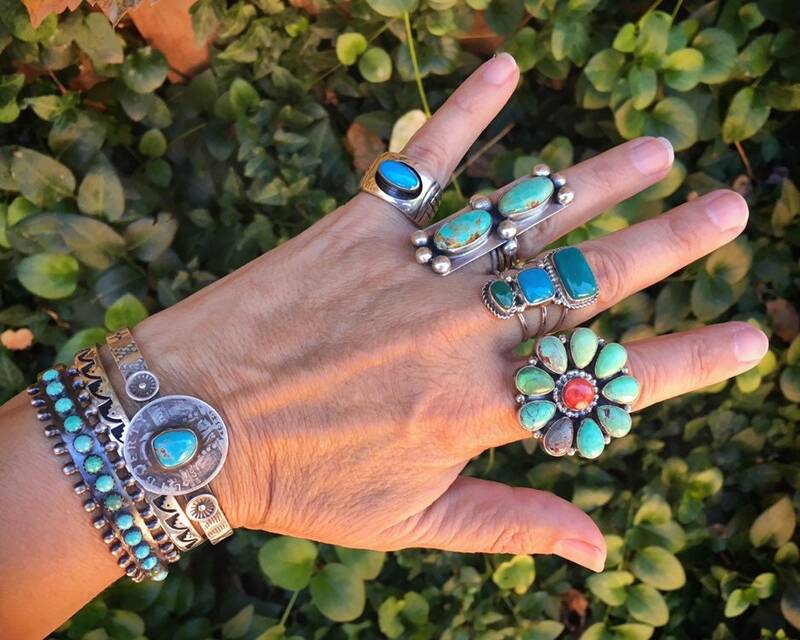 The interior carries the hallmark KS, which I have seen attributed to the collectible Navajo artist Kirk Smith. However, I've only confirmed his hallmark as his full name, so I can't say with certainty that this is one of his pieces. 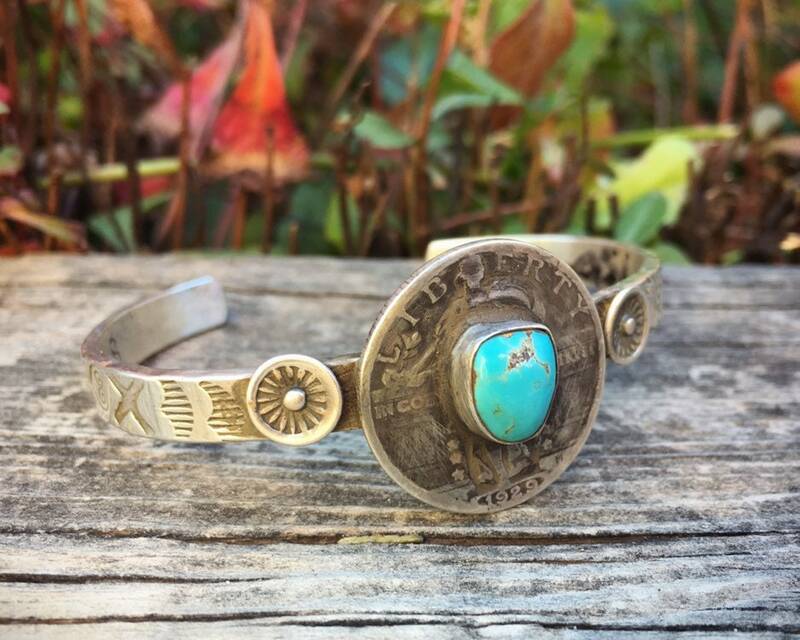 Nonetheless, it is a gorgeous bracelet and perfect for the person who loves jewelry, old coins, and the Southwest! 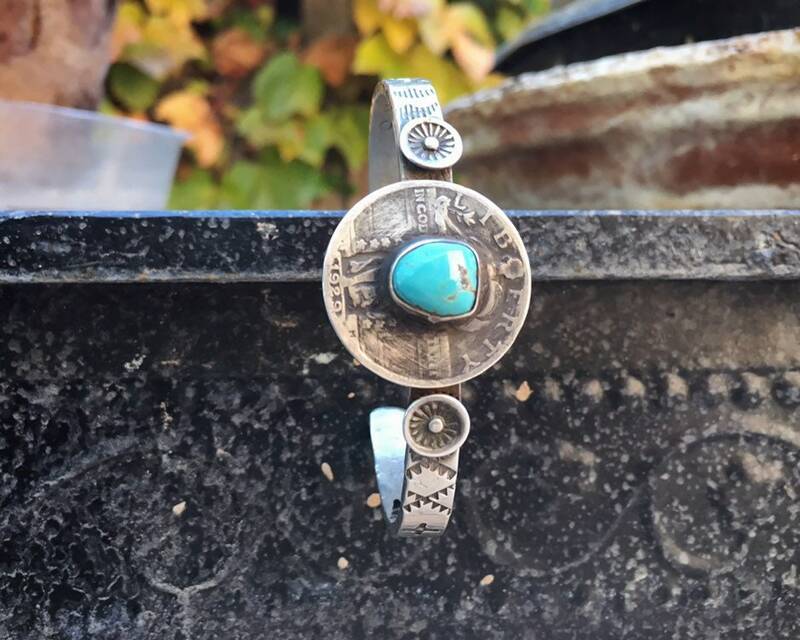 The bracelet measures 1" at the widest point, which is the width of the coin, and the shank itself is 1/4" wide. 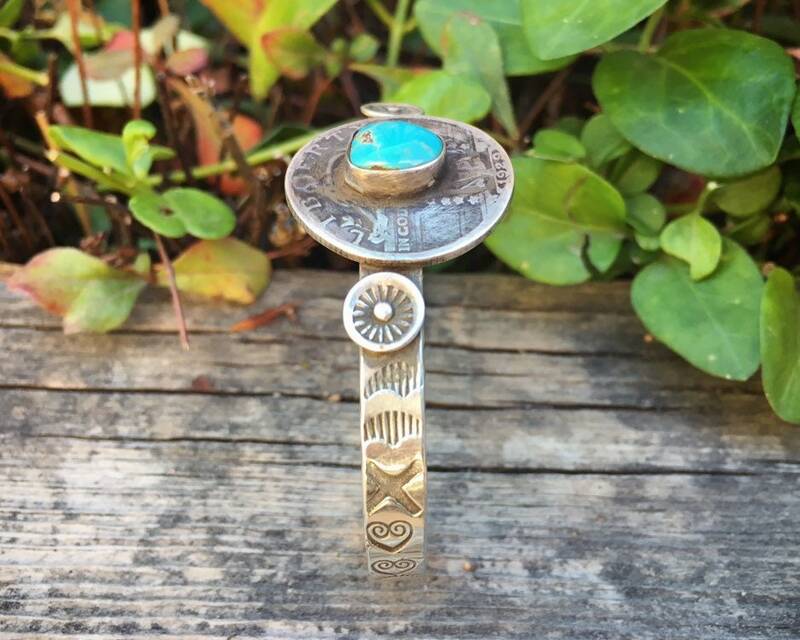 Taking a soft tape measure all the way around the interior, the bracelet is 5-3/8" in length with a 1-1/8" gap or opening, for a total length of 6-1/2". 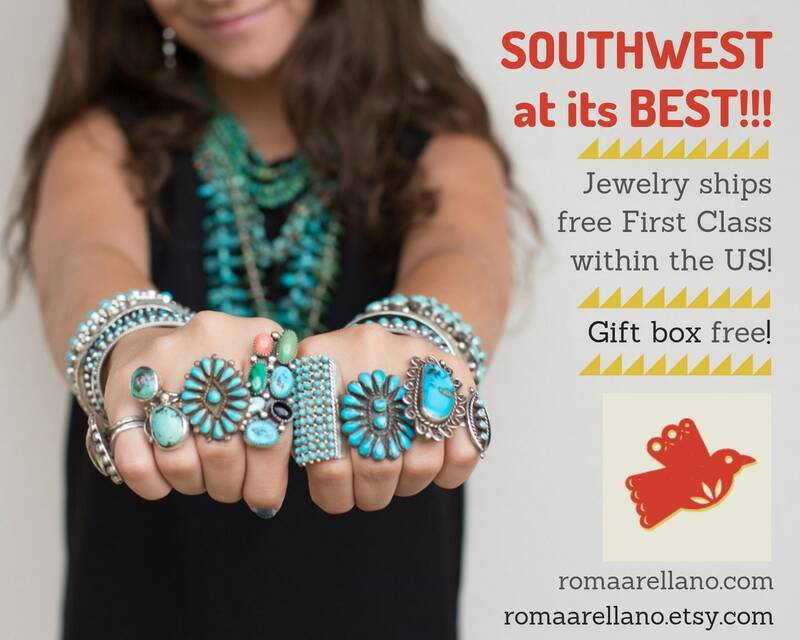 The bracelet has a great unisex look and vibe, but the size is on the small side and can't be opened wider. 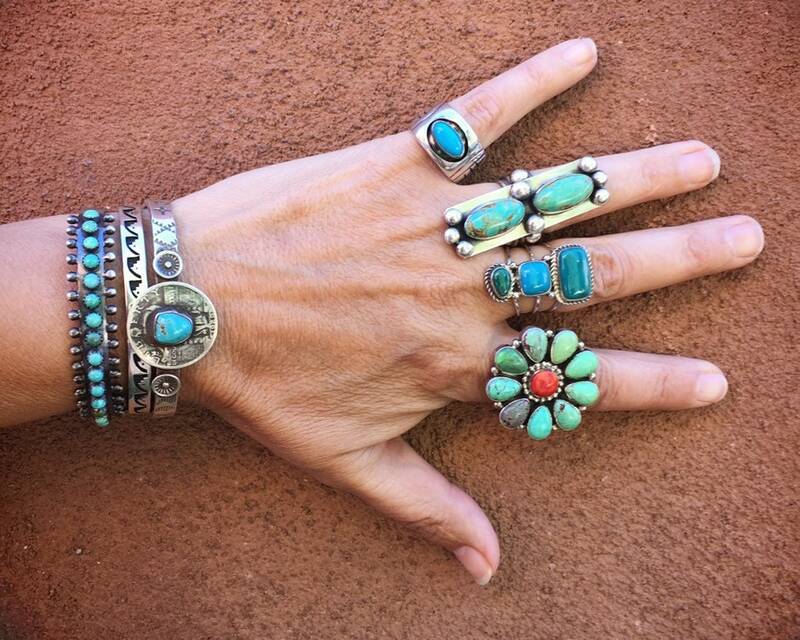 Not a big bracelet yet a bracelet with BIG presence!